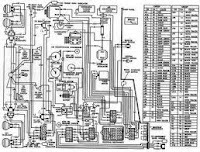 Gary, RV owners seeking older wiring diagrams are plentiful but unfortunately I no longer keep wiring diagrams on file. I did for many years, but it simply became too cumbersome to store all that paper. I do have a couple of suggestions though; first you could try contacting one of the Monaco dealerships who were selling back in 1987 to see if they have any diagrams on file. If they are still around, that is. Many astute RV service departments will keep a set on file for future reference. You can find a Monaco dealer listing here. (The accuracy of this listing, however, has not been verified). 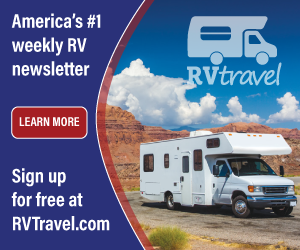 The new Monaco RV only has a limited number of recent wiring diagrams posted online, so RVers with older coaches indeed have a search on their hands. Secondly, there are a few dedicated Monaco owner's forums online as well. In some cases, the accuracy of the technical information posted on consumer forums can be iffy, but the most active group appears to be on the iRV2 forum. It might be worth a try to join that forum and see if anyone else has the diagrams you are seeking. Finally, there are many active RV clubs here in the US that are brand specific. Check the Family Motor Coaching Association website and magazine for listings. RV clubs are a great source of technical information since they are typically a dedicated bunch. In fact, I’m wagering that if a dealer can’t help you, a fellow coach owner will!